Forerunner 35 is an easy-to-use GPS running watch with wrist-based heart rate. 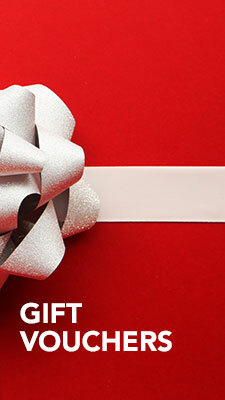 It doubles as an activity tracker that counts steps, calories and intensity minutes and reminds you when to move. 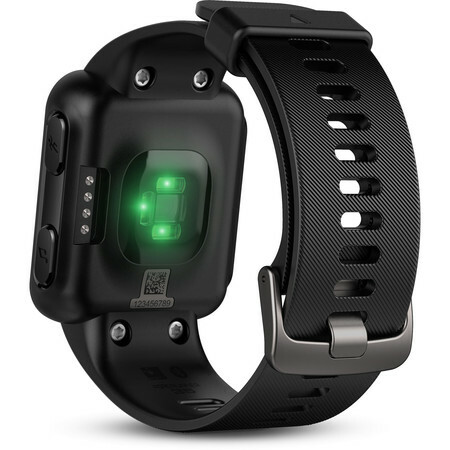 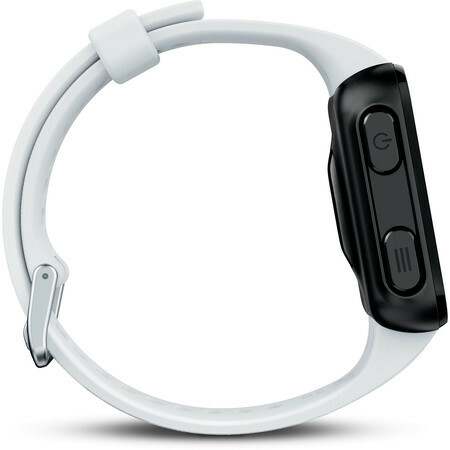 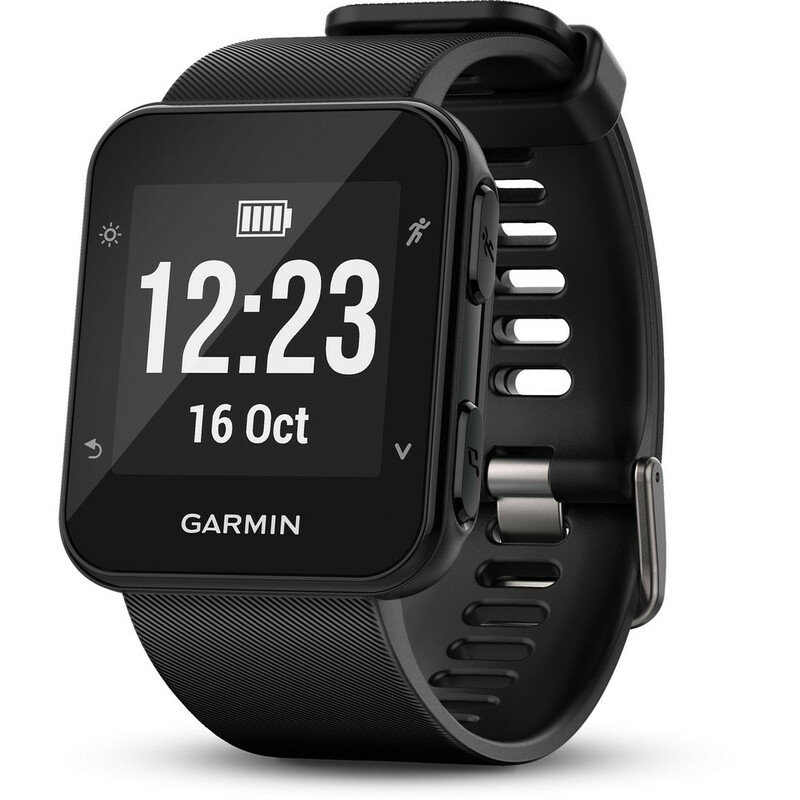 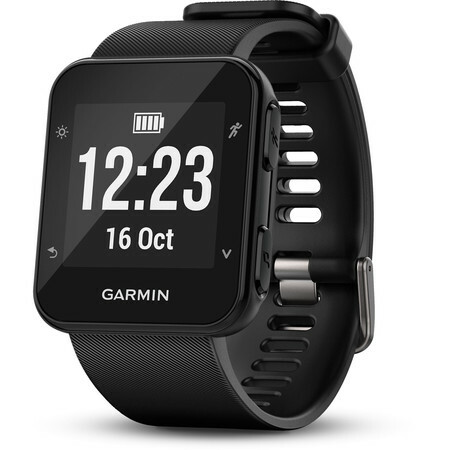 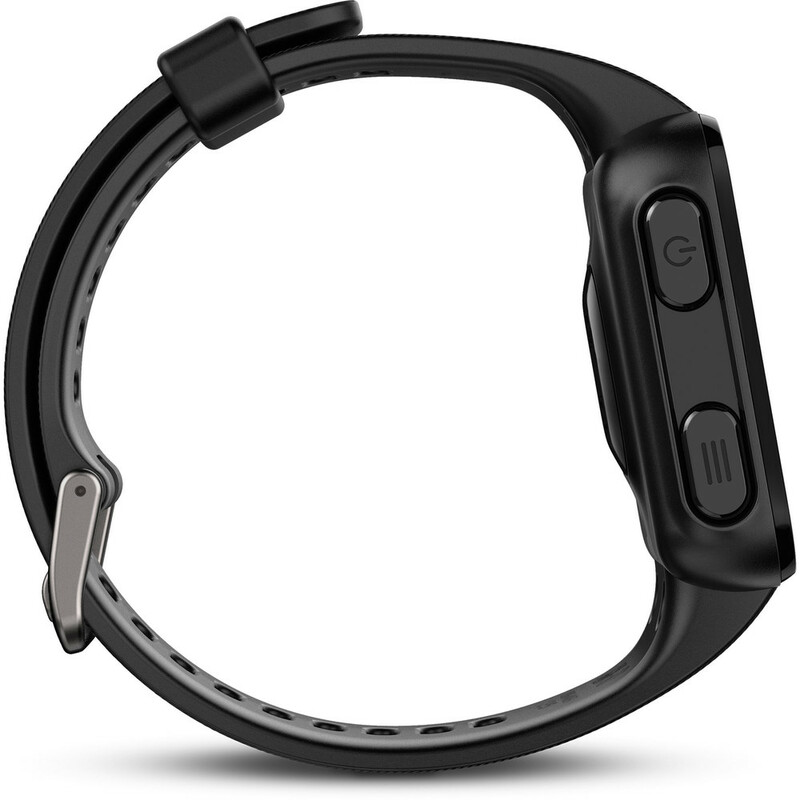 It also offers 24/7 heart rate monitoring (no additional strap required) and sleep monitoring for later review on Garmin Connect. Built-in GPS tracks how far, how fast and where you run. 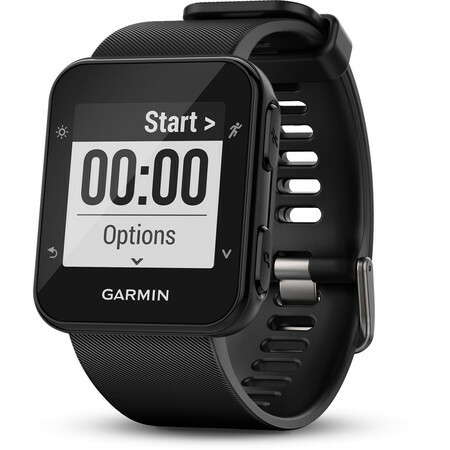 You can set simple time, distance, and calories alerts as well as heart rate and run/walk alerts. The monitor remembers your records and celebrates your achievements with you. 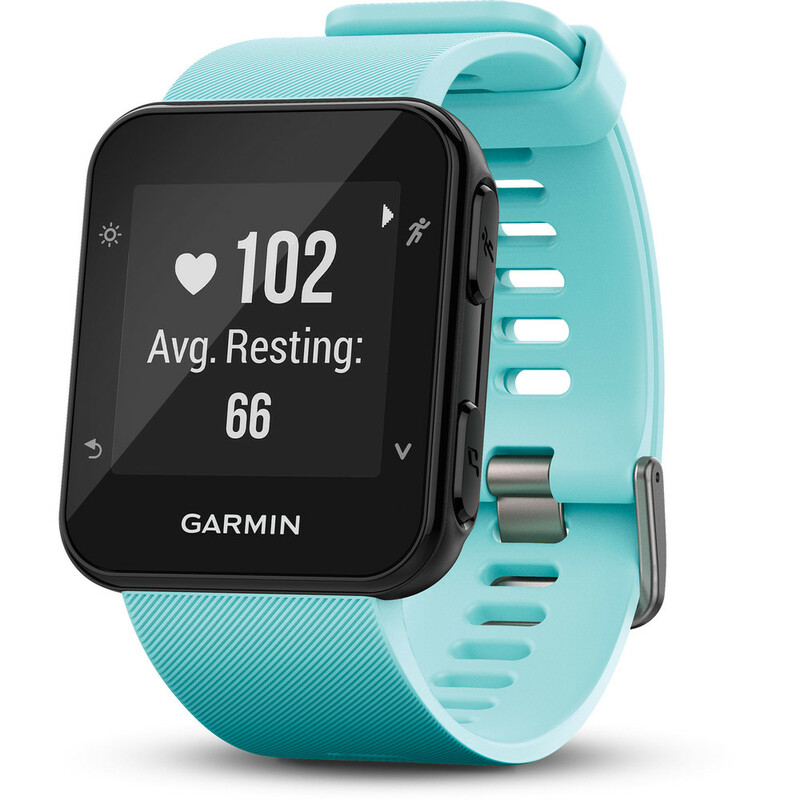 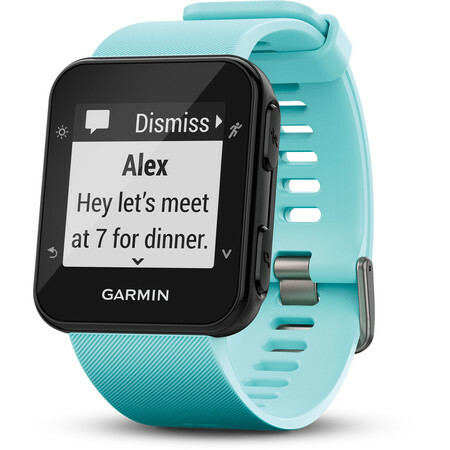 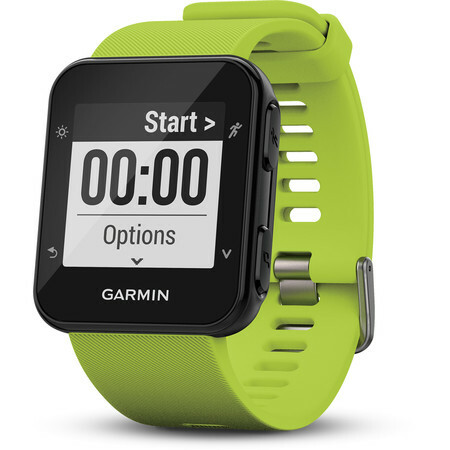 Connected features (when paired with your compatible smartphone) include smart notifications, automatic uploads to Garmin Connect, live tracking and music control. Stay on top of things or choose do not disturb mode if you want to run without interruption. Features training tools like intervals, audio prompts and a dedicated run/walk activity. Forerunner 35 comes with built-in activity profiles for outdoor running, indoor running, cycling and cardio. 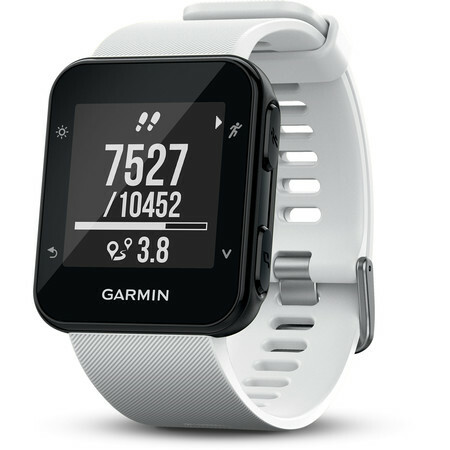 It allows you to automatically upload your stats and runs to Garmin Connect, a free online fitness community where you can review your progress and even share via social media. This free software is available for desktop or on your smartphone with the Garmin Connect Mobile app.